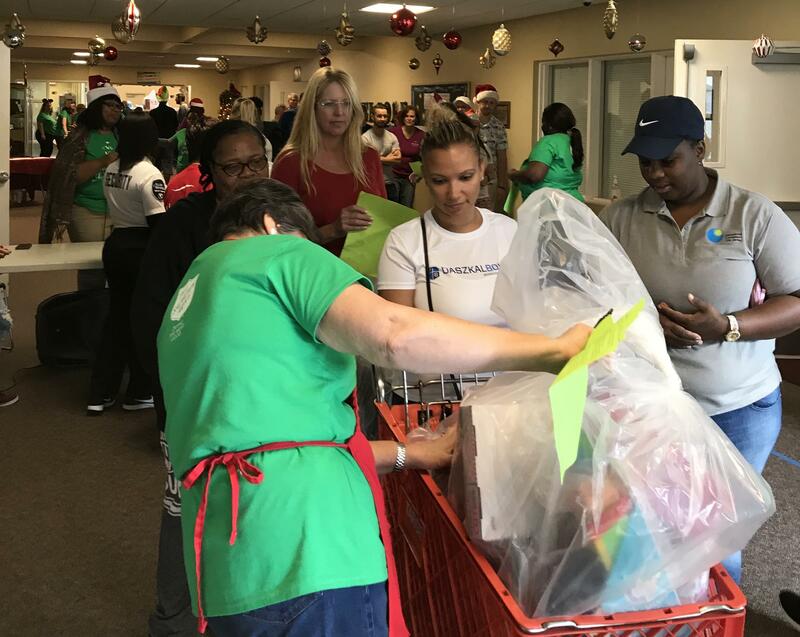 Hundreds of volunteers help Broward County parents pick up and load Christmas gifts for their children in time for Christmas. Hundreds of volunteers ran around the Community Center in Fort Lauderdale in Santa hats Friday, pushing big red shopping carts. Parents lined up out the door to pick up Christmas gifts for their children. The Salvation Army of Broward's Holiday Toy Shop is open for one day -- and one day only. It's known as "Angel Tree Distribution Day." "It's the spirit of Christmas," said Keath Biggers, the major area commander for the Salvation Army of Broward County. "When the parents see the gifts that they are going to be able to give to their kids, to me that's what makes it all worthwhile. You see tears of joy, and that really means a lot to see how it impacts a family like that." The Salvation Army has been operating in Broward County since 1926 and it's been running the Angel Tree Program since the 1980s. More than 1,450 familes - that's more than 3,000 children - will get presents through the program. That's 1,000 more than last year. "We really were a little concerned, but we knew that the community would respond," Biggers said. "And they have." Alyse Gossman, the director of development for the Salvation Army, said she was surprised that more families asked to register for the program this year. "Because everyone thinks the economy is doing really well," she said. It's her 10th year organizing the Holiday Toy Shop. To be able to pick up Christmas gifts through the Salvation Army's program, families first must register in October. The organization then verifies their income and collects information about what toys each child has on his or her holiday wishlist. Roughly 1,470 families are collecting Christmas gifts from the Salvation Army of Broward this year. That will support more than 3,000 children. "We do get to play Santa," Gossman said. "It's my favorite day of the year. There's literally hundreds and hundreds of volunteers and thousands of donors that come into making this one day possible. No kid will wake up on Christmas Day and not have something." Tags, with Christmas wish lists on them, were scattered throughout county malls for anyone to 'adopt an angel,' by purchasing presents for registered children. More than 100 local corporations also donated gifts. Cyd Marie Maradiaga came to pick up a red cart of toys for her 3-year-old son and 5-year-old daughter. This year, they asked Santa Claus for a dollhouse, play kitchen accessories and cars. "I'm pretty sure they'll be excited," she said. "I'm really happy, excited to see their faces on Christmas Day." Maradiaga said she's thankful for the Salvation Army's program because this is the first year she feels like she can give her kids a Christmas they can enjoy. "This is the first year that I'm going to actually celebrate, give them something big that they actually wanted. Because last year it was like little things," she said. "At Christmas season it's very joyful to see all of the people coming together to help. I'm in the spirit." Turns out Kathy Ann Paul – aka Sweet Hand Kathy – is as capable a DJ as she is a baker. Right now, when you walk into her Miami Gardens restaurant – called, of course, Sweet Hand Kathy – you’re likely to be regaled with “parang,” a festive blend of music like Trinidadian calypso and Venezuelan gaita. That’s because parang season means Christmas season in Trinidad and Tobago, the Caribbean island country where Paul grew up. It may cost a little more this year to get into the holiday spirit. But don’t blame the Grinch; the U.S. is suffering from a national Christmas tree shortage. Think of it as a hangover from the Great Recession. 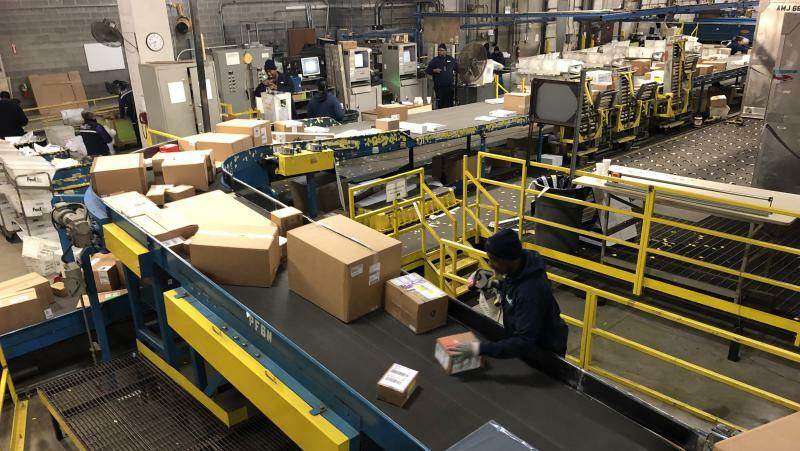 Even though it struck a full decade ago, the 2008 downturn and a concurrent glut of yuletide firs and spruces drove many growers out of business. The supply is now tight — and replenishing it takes time, since a tree grows eight to 10 years before it’s ready for the tree lot.